Once again this model was for the same bloke in America who originally wanted it built out of the box as the Sherman with a few added details. 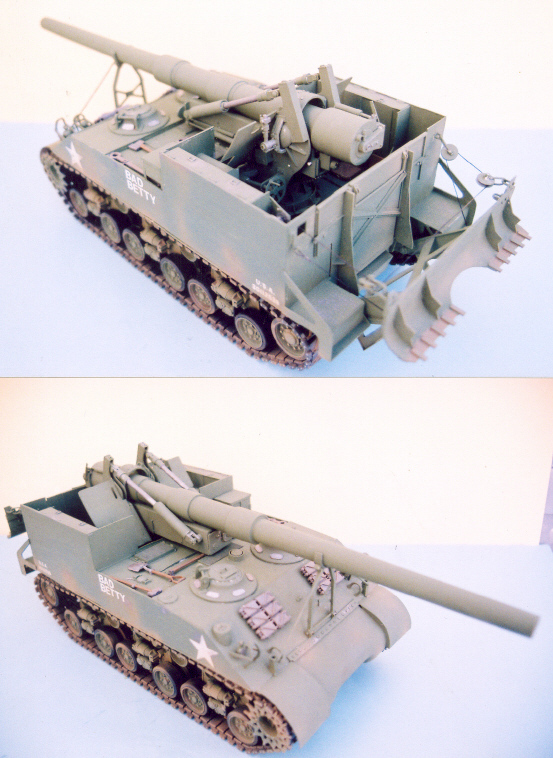 He then asked me if it could be converted to an M48 Bigshot and he sent me the 1/35th AFV club model and some photos to scale up. 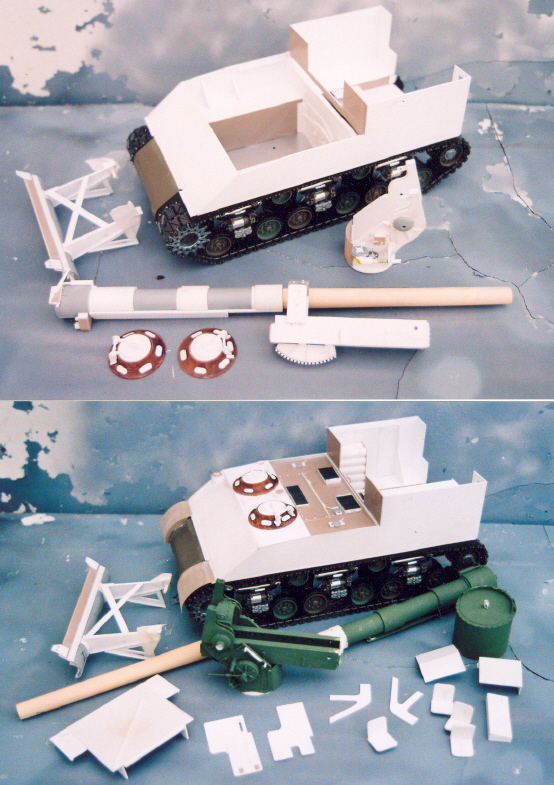 The barrel front is from wood and plastruct tube for the rear section and the rest of the gun assembly is from plastic card strip and rod, the chassis was built out of the box with new mudguards from 30th card and 40th card for the body sides, back and front. The two cupolas were turned from wood with plastic card details and all inner detail was added as per the kit. The rear door was made to open and the spade moves up and down. The whole model was sprayed dark green and then lightened and dusted.